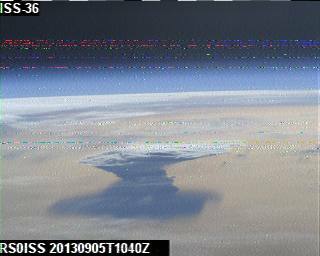 This entry was posted in ISS and tagged ISS, SSTV by PE0SAT. Bookmark the permalink. 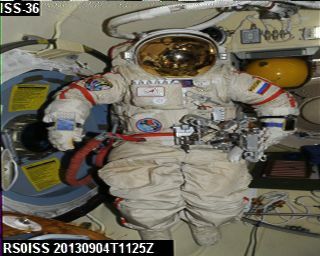 Luca Parmitano haven’t access to the Kenwood TM-D710 because this radio is used only by Russian crew. The MAI-75 Experiment is a Russian experiment and the crew activates it when Mosca has AOS, so we lost 50% of the pass. 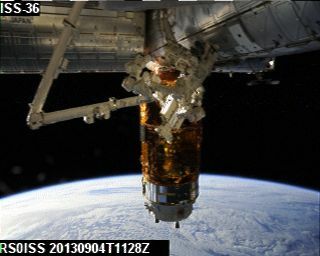 Luca only use the Ericsson radio in the Columbus module.